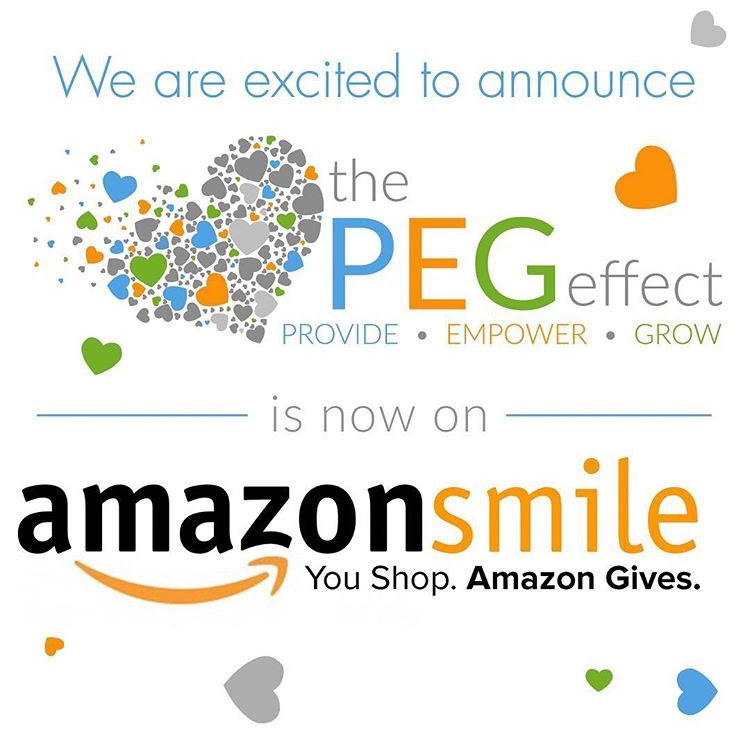 The Peg Effect is excited to announce that we are now on AmazonSmile! Well, as an official charitable organization for AmazonSmile, it means every time you purchase something on AmazonSmile, 0.5% of your purchase will be donated to a charitable organization of your choice and we hope you choose ThePegEffect! With the holiday season upon us we can get wrapped up in our busy schedules and never ending task lists. Making time to give back and to donate might not be at the top of our to do list. By shopping through Amazon Smile you can cross two things off your list! Shopping for all your holiday necessities and donating to an awesome cause without any extra time or effort.AmazonSmile is the same Amazon you know. Same products, same prices, same service the only difference is the URL: www.smile.amazon.com. Whether you need supplies to feed the massive amounts of family for Thanksgiving or the last minute white elephant gift for your office party, we’re sure you can find something on Amazon and by shopping through Amazon Smile. We’ve found that the holiday season can come and go in a flash. Remember to type in the Amazon Smile URL every time you shop can slip your mind! Don’t worry. We have you covered! Lots of people forget to navigate to smile.amazon.com. By installing this Chrome Extension if you forgets to type it, or links to amazon from a different site, Chrome will automatically send you to Smile. Easy right? The next time you’re online shopping for that new gadget, purchasing that can’t-miss TV series or sending a gift to a loved one, purchase through AmazonSmile. Your next online purchase has the power to make an impact towards those ThePegEffect is committed to helping. The funds we collect from Amazon Smile go to creating more Goodie Bag Mobiles which contain one month worth of the bare necessities: toothpaste, wipes, deodorant, etc. Thank you for continuing to support the PEG Effect in our mission to Provide, Empower and Grow. We Love to Give because We Give to Love. Keep up with the latest by following us on our Instagram at @ThePegEffect.